Closed today due to illness. Please email or call if you have an immediate need, we will do our best to accommodate you. Visiting houston and always appreciate a man in uniform! Someone's got a case of the Mondays....have a great week! Fibi took over Collegeville Costumes in 2018, and relocated it from its Collegeville location to nearby Limerick Square in Royersford. When in the store, she takes a hands-on role in modeling new costumes! 8-year-old Mila has recently been tagged by Royersford Business Weekly as one of the “Top Ten Under Ten” upcoming business people. She is a pop-culture expert, having recently completed a 12-hour marathon of some show her parents had never heard of and weren’t entirely sure was appropriate for her age! 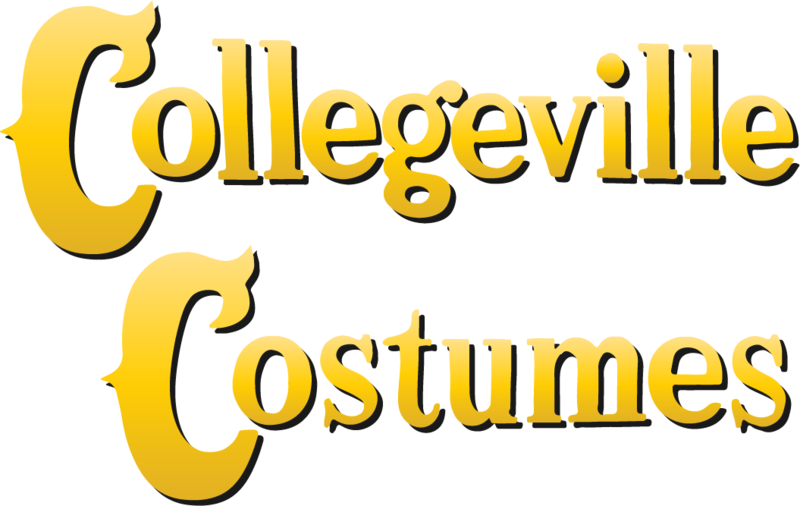 Marcia is the talented artist responsible for many of the one-of-a-kind Halloween decorations available at Collegeville Costumes. When not travelling the globe as a world-renowned Human Resources expert, you will find her in the store…be sure to ask about her latest creation! Chris likes to while away the hours watching sports and reading books, but Fibi insists he mind the store at all times. He hopes to someday earn a minimum wage, in accordance with Federal and State law, but in the meantime he’ll be sure to help you find whatever costume or decoration you have in mind!